Connecting Your iPod is Easy! A great feature of the AMP120 is the ability to connect your iPod or other portable music device. 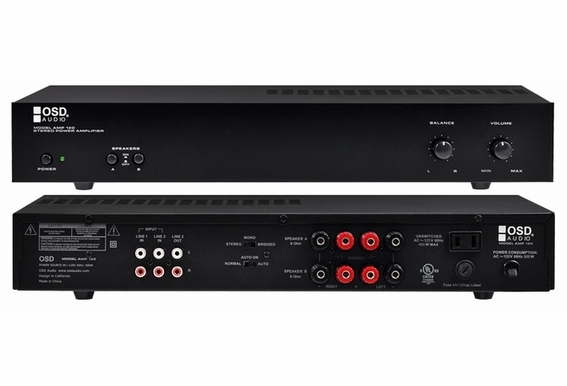 The AMP 120 includes two RCA signal level inputs marked as red for right and white for left. All you need to do is purchase our inexpensive RCA to mini cable (see RCA audio cables under the audio/video cables tab). The mini 3.5 connector is plugged into the headphone output of your iPod then the RCAs are connected to one of the inputs of the AMP120. It’s that easy!